Sara M. Shane, Psy.D., LPC, received her Doctorate in Clinical Psychology (Psy.D.) from the Philadelphia College of Osteopathic Medicine. During this time, she completed advanced training in cognitive behavior therapy (CBT), and conducted psychological assessments. Dr. Shane is a Licensed Professional Counselor in the state of Pennsylvania and New Jersey. With over eight years of experience in the field of mental health, Dr. Shane has had training in a variety of settings. She completed her Pre-Doctoral practicum training at Brooke Glen Behavioral Hospital, where she provided psychological services to children, adolescents, and adults in an acute inpatient population. Moreover, Dr. Shane completed her Pre-Doctoral internship at the Center for Neurological and Neurodevelopmental Health (CNNH). As an intern, she completed Comprehensive Neuropsychological assessments and provided cognitive behavior therapy services to children and their families. 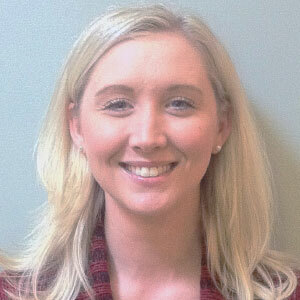 Dr. Shane is currently a Post-Doctoral Resident in Neuropsychology with CNNH and is also the CBT Services Coordinator. She continues to provide Comprehensive Neuropsychological assessments and cognitive behavior therapy services to CNNH patients and their families.